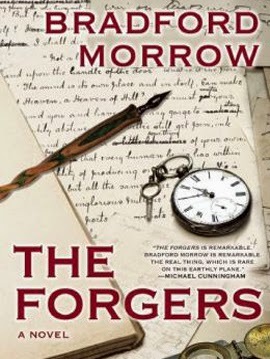 As the character study of an unreliable narrator, The Forgers by Bradford Morrow presents a slow burn suspense that relies on unease over mystery, atmosphere over action. It opens with the murder of a reclusive rare book collector named Adam Diehl — the scene of the crime described by the narrator about four days after the fact. Diehl was found clinging to life on the floor of his home in Montauk, surrounded by valuable books, original manuscripts, and inscribed literature. Most of it has been destroyed, but that fact isn't the most striking detail about the crime. Diehl was found without his hands. They had been cut off. Astonishingly plausible insights into rare books and expert forgeries. The narrator, only named Will once in the entire book, learned about the horrid incident from Diehl's sister and his girlfriend Meghan. He immediately offered to meet her at the hospital, a proposition she appreciated since the two men didn't like each other much. The mutual dislike between them (or more accurately mistrust) fell squarely on Will's shoulders. He had once unashamedly and triumphantly been a forger. When he was caught, everyone who had trusted him with the utmost confidence to appraise certain books (Conan Doyle especially) were now questioned for having unknowingly passed along fakes and forgeries. Diehl was one of them, sort of. Adding "sort of" is to suffice that he was not like many of the other victims because Diehl, like his future brother-in-law Will, was a practiced forger too. The only difference is that Diehl had never been caught until, or so it seemed, his grizzly murder. Will, on the other hand, had been caught. As a convicted but unrepentant literary forger, Will both struggles to come to terms with the murder and the implication that he may have been involved. And when he begins to receive threatening handwritten letters penned by long-dead authors like Henry James, he slowly discovers that he was involved in the murder indirectly, if not directly, despite his ignorance of it. Or was he ignorant? As a character who possesses the ability to simultaneously prove his honesty and duplicity in the same paragraph, Morrow keeps his readers teetering between his guilt or innocence. At the same time, the author takes readers into the insular world of rare books and the compulsion to forge masterworks. A few more graphs about author Bradford Morrow. 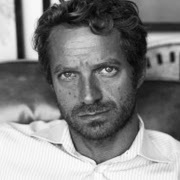 Although born in Baltimore, Bradford Morrow grew up in Denver before traveling the world. He traveled through Honduras as a medical volunteer. He attended a foreign exchange program in Cuneo, Italy. He took time off from his studies to live in Paris for a year. It was these experiences and his graduate work at Yale that informed his early work. 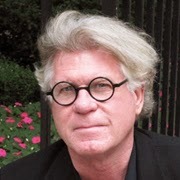 After working as a bookseller in Santa Barbara and founding the literary journal Conjunctions in New York City, Morrow started writing novels and joined the faculty at Bard College in 1990, where he is a professor of literature and a Bard Center Fellow. Since, Morrow has taught creative writing at Brown, Columbia, and Princeton Universities, as well as the Naropa Institute. He is currently divides his time between New York City and upstate New York while working on his eighth novel, The Prague Sonata. The Forgers By Bradford Morrow Fakes 6.8 On The Liquid Hip Richter Scale. The writing is exceptional and the character study admirable. The real shortcoming is the story's inability to capitalize on its most thrilling moments, which is a by-product of being told through the eyes of an arrogant and manipulative protagonist who is rarely willing to admit he is not in control. In sum, it's the novel's greatest strength — an acutely over analytic protagonist — that is also the novel's biggest weakness. You can find The Forgers by Bradford Marrow on Amazon or download the novel for iBooks. The audiobook is narrated by R.C. Bray who lends a convincing tone to the novel, delivering the story with a conviction as convincing as the prose. For more Bradford Marrow titles, visit independent bookseller Alibris. 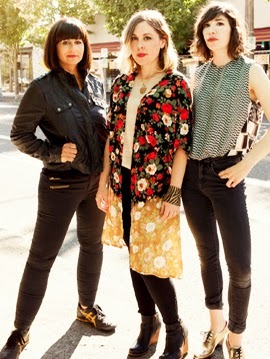 Just when everyone was growing used to the idea that Sleater-Kinney was on a permanent hiatus, leaving room for Corin Tucker;s eponymously-titled band to release 1,000 Years, the peerless and cohesiveness of Janet Weiss (drums), Carrie Brownstein (vocals/guitar), and Tucker (vocals/guitar) are back. No Cities To Love is the long-awaited triumphant return of S-K. The whole of it includes 32 minutes of punk-tinged rock with sneers, jeers, and masterful songwriting with dramatic shifts, hairpin changeups, and a harmonic cohesiveness that defies conventional composition with its oft staccato delivery. No Cities To Love is one of those rare albums that allows listeners to discover new depths with each pass, opening the complex brevity of each track like a rare and exotic blossom. No Cities To Love is a triumph return for a timeless favorite. Conjuring the image of a flower, however, is not meant to suggest that No Cities To Love is delicate. It's anything but. The first outing in a decade from this acclaimed trio sets new sights for the punk’s political insight and emotional impact. The 90s riot grrrl scene that was sparked out of the Pacific Northwest suddenly sounds relevant not because this is a revival but because it is a reinvention. "We sound possessed on these songs," says guitarist/vocalist Brownstein about the band's eighth studio album. "Willing it all — the entire weight of the band and what it means to us — back into existence." The separation of Brownstein and Tucker has clearly brought the two artists closer together, writing songs that are more self-aware than the band's once disruptive nature. Instead the band brings together something significantly more modern, crisp, and clear. Take a track like A New Wave that the band played on Letterman. It very clearly is a track that tugs on where the band sees itself artistically today. One of the lines even jumps out, declaring that they are "inventing their own kind of obscurity." The lyrics are very telling in that S-K no longer wails against not understanding where society is but rather they understand it all too well and realize it is sometimes better to rise above it (or be amused by it) because it's almost impossible to change it. In some sense that is the theme of the title track, No Love For Cities, too. The song itself tackles how people identify with cities even if cities are mostly the same. Sometimes the weather or the landmarks or the people might be a bit different. But aside from those elements, they're not different at all. Price Tag is very much like that too. It indicts the 9-to-5 drudgery of civilization, but doesn't call for any change or disruption like they might have done in the past. Instead, they serve it up as how it is. Following Price Tag, S-K becomes a little more complacent in its production of Fangless. While not nearly as sharp as the songwriting throughout the rest of the album, the lyrical work demonstrates a certain sophistication they strive for, alluding to the rise and fall of fatherly failure. No Anthems attempts to ward away the mediocrity of fame, with the band recognizing that they were once trying to be something monolithic but nowadays they mostly want to avoid it. They might not be able to, but even that accomplishes their objective to cover topics without any apparent exit. "The three of us want the same thing," says Weiss. "We want the songs to be daunting." No Cities To Love By Sleater-Kinney Strikes Hot At 7.2 On The Liquid Hip Richter Scale. 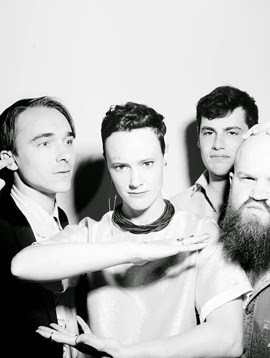 No Cities To Love will not disappoint anyone as there are ample standout tracks, including the dueling vocals of Bury Our Friends, brilliantly upbeat but aggressive chorus of Hey Darling, and down tempo closer Fade. The latter might lack the finesse of the rest of the album, but it succeeds in bringing in some experimentation on an album that feels more back to basics than inventive. You can find No Cities To Love (Deluxe Edition) (Limited Edition, 2-LP, White Vinyl, Includes Download Card) on Amazon or download it from iTunes. You can also find No Cities To Love and the entire library of Sleater-Kinney on independent reseller F.Y.E. For upcoming shows and tour information, visit them on Facebook. Four years seems like a long time between albums, especially for a talent like Colin Meloy and company, but The Decemberists didn't squander a minute of it. While bandmate Jenny Conlee was diagnosed with breast cancer (now in remission), Meloy explored his relationships at home and took time out to be a father. The exploration proved to inspiring for the musician/writer. While working to provide the best possible education for their eldest child Hank, who is autistic, he wrote the bestselling Wildwood series of children's novels. His wife illustrated it. More than that, the hiatus also provided Meloy with ample time to reflect on the last six albums and come full circle. 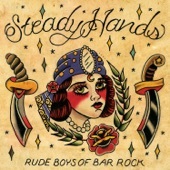 Expect comparisons to their first album more than any other. The storytelling in the new album is more fantastical amidst a backdrop of alternative rock with Americana, British folk, and pop influences. And the return to these roots has been therapeutic in a sense, with Meloy being open about his work beginning to feel too much like a career and not enough about self-expression. What A Terrible World, What A Beautiful World. There is no mistaking this seventh album as more expressive as Meloy embraces the best and worst of the human experience capsulized into pop songs ranging from three to five minutes. And yet, some of it is surprisingly intimate too, with the opener an explanation for the album set to music. "We know you grew your arms around us in the hope we wouldn't change," sings Meloy. "But we had to change some, you know, to belong to you." The directness of it is almost off-putting in its expectedness, yet Meloy manages to deliver it with a conviction that is both sad and authentic, bold and truthful. The spell is quickly broken, however, by Cavalry Captain and Philomena. Both carry an uptempo pop punch, with the latter bringing in some elements of whimsy into the lyrics and composition. 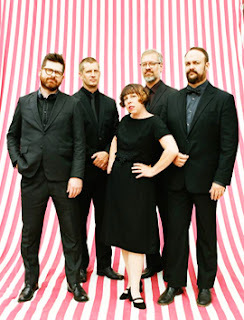 While this whimsy may represent the beautiful side of the world that Meloy has chosen to write about, The Decemberists still seem to be a band better suited to the deeper complexities of Portland. It's tracks like Make You Better and Lake Song that provide addictive glimpses into the soul of the songwriter. It's also on this track, Lake Song, where the album takes a turn toward the deep and intricate tones that the band is so adept at expressing through Meloy's melodies and the musicianship of Chris Funk, John Moen, Nate Query, and Conlee. 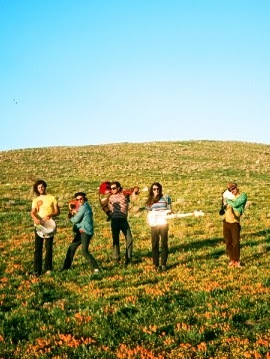 Till The Water's All Gone, The Water Year, and Carolina Low all conjure up the unique musical complexities that have put the band on the map. While there are some bleats of happiness between those and the end of the album, The Decemberists build upon their brooding seriousness, reading a crescendo with the song 12-17-12. The band captures the horrific school shooting at Newtown, Connecticut's Sandy Hook Elementary School with a startling but sensitive sobriety. 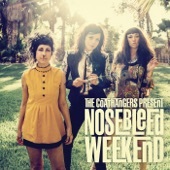 It's one those songs you don't expect to appreciate for its subject matter, but you will anyway. The conclusion, A Beginning Song, offers an uplift and to leave on a note of recovery. What A Terrible World, What A Beautiful World Drifts 7.2 On The Liquid Hip Richter Scale. What A Terrible World, What A Beautiful World contains some sensational songwriting with elements that are recognizable from across their career, with an emphasis on their earlier work as it might have sounded with the experience they possess today. Although the subject matter makes the album sound uneven if played from the top down, the net sum is far greater than that one annoyance. Still, the variance (loved or not) is an indication that the band hasn't become a commodity. They are songwriters, composers, and masterful musicians who have something to say. The shock of it. What A Terrible World, What A Beautiful World by The Decemberists is available on Amazon. You can also download select songs or the album from iTunes. For this album and the band's entire catalog, visit independent entertainment store F.Y.E. The Decemberists will be on tour to support their album. Visit Facebook for their upcoming tour schedule. It's almost a shame too, but only as it undercuts one of his more intimate moments as a musician. But then again, that is part of the charm of Segall. He makes music like kids draw pictures — scribbling lines with such wild abandon that they can treat most of their creativity as cheap throwaways because they're all too busy in the business of producing more, never looking back. Then again, there is something of the statement in giving the discs a dual purpose. It suddenly makes the physical form relevant in an age when most music is relegated to a digital download or (worse) random streaming from a collection arranged by someone else. So perhaps the physical production does break though in that regard. Segall isn't content to be heard through headphones alone. He wants to be played with purpose in the living room, his music filling up the space around you. Mr. Face does that very well too. Mr. Face is an intimate take on Ty Segall. For someone who never stands still — bouncing around various underground bands, creating some, and circling back — Mr. Face is surprising settled, anchored mostly by an acoustic guitar on the front half of the EP before it drifts more toward the rhythmic back half (when he does deliver several doses of always welcome solos). Much of it is subtle by comparison to his standard fare. Without sacrificing any of his vitality, Segall eases into the EP with the title track and sings about how individual valuations often revolve around money. He doesn't judge it as much as he dismisses it with whispery vocals and pulse quick acoustic rhythm. The tone of it tells you that he is still taking it slow (in comparison to the frantic pace that defined much of his early career and not slow in comparison to other artists), offering up the EP as holdover until he commits to his next album or project. Fans will most likely think of it as a step back toward the midpoint of his career when mid-tempo indie rock characterized most of his work. Circles is something else. It carries a bit more of Segall's distort and squelch, which comes across even stronger as part of his live performances. The studio cut is considerably clearer than his live performances, but this clip captures the track nicely. After Circles, Segall delivers the lyrically sparse and guitar solo heavy Drug Mugger, a garage glam rocker that alludes to medicated trade-offs. The main pained moment is warning people away from wondering where things come from, making the feel of it ominous and oppressive. Segull ends the EP on The Picture, which is the most personal and meaningful. The Picture is a song about learning to say goodbye. It's sad and freeing at the same time, converting some understanding that saying goodbye can help you see those you miss in a new light. Although rife with loss and foreboding, Mr. Face ends on a note of resolution. Things can work out in the end, even if that sometimes means finding inner peace. And somehow, it might help you settle in without settling. 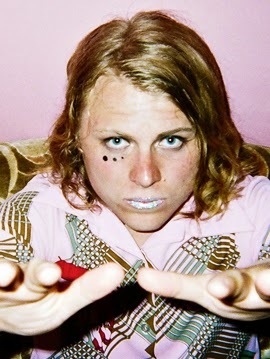 Mr. Face By Ty Segall Plants 7.8 On The Liquid Hip Richter Scale. Overall, Mr. Face showcases Segall returning to and mastering his mid tempo indie rock meanderings in between albums. At the same time, Mr. Face seems to suggest that something great will come from being more resolved with the loss he once endured. Good for him. Mr. Face can be found on Amazon or downloaded from iTunes. The songs are striking enough to include on a playlist, even if the intent here is to hold it in your hands (and up to your eyes). The first pressing, by the way, was sold out. When Daniel first received word from his father that his mother had been hospitalized, he suddenly felt dizzy, a wave of nausea overcoming him as he dropped his grocery bag. He immediately knew something was wrong, but as his father continued to cry into the phone, hardly making sense, the details grew even darker. His father recounted how his mother had been imagining things, terrible things, for several months until she had finally suffered a psychic break. He had no choice, he continued. For his safety and hers, she had to be committed. A psychological stint into perception and paranoia. The news was especially shocking to Daniel as his parents had just recently retired to a farm in Sweden. Everyone had considered the move the adventure of a lifetime, especially because his mother had been born there. She had told him so herself, sending him emails rather regularly. She did, that is, until the last email. All it had said was "Daniel!" and nothing else. Daniel had explained it as a glitch. He had even sent her a quick response back, asking her to resend it. She never did, but he assumed she was too busy with whatever one might expect on a farm. He was wrong. And when he had finally come to terms that he was wrong and booked his flight to join his father in Sweden, he turned out to be wrong again. His mother wasn't at the hospital, but on a flight from Sweden to London. She called to tell him and warned him not to believe his father before the call cut off. Unsure of what else to do, he did the only thing he could do. He met her at the airport, brought het back to his apartment home, and listened to her as she began to outline a conspiracy to cover up a crime, one that his father had been complicit in and, if not, an active participant. The initial accusation was almost more than he could believe, compounded by her insistence that he listen to her story not as a summation but in sequential order while she produced scraps of evidence and her own journal entires to corroborate not only her story, but also her sanity. Even more pressing, she needed him to listen before his father and the men who had coerced him found her again. Her story titters back and forth between plausibility and paranoia. But even as those odd and inexplicable details give Daniel reason to doubt his mother, evidence and events provide enough proof that he is compelled to believe — much like the doctors at the hospital she had fled. 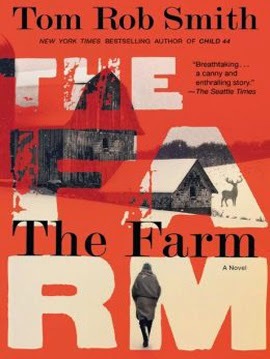 While the conclusion may leave more than one reader wondering why Tom Rob Smith would end on whimper compared to the terse and gripping tale told by an untrustworthy narrator, The Farm revives the author's gift at bringing anxiety to life. As a study into how much perception plays in the reality we make, Smith also entertains with a slow burn story that swirls between trust and disbelief. A couple graphs about the author Tom Rob Smith. After his sensational breakout novel Child 44, based on a real Russian serial killer known as the Rostov Ripper as seen through the eyes of his fictional MGB officer Leo Stephanovich Demidov, Tom Rob Smith delivered two more novels that took readers deep inside Russia. While the sequels were welcome, the trilogy sometimes suffered as reviewers continued to hold each book up to Smith's smashing near-perfect debut. Where The Farm becomes an exceptional win for the author is when it treads some new ground, shaking off the trappings of the trilogy. While some similarities remain — Smith's vividness in describing the bleak wilderness of the mind as well as the landscape — the subtlety of this Cambridge graduate's craft has grown tenfold. The Farm By Tom Rob Smith Steals 8.7 On The Liquid Hip Richter Scale. As long as readers are willing to forgive the whimper of an end in advance of starting the book, they will discover that the ride can indeed be better than the destination. This is an amazing portrait of justifiable paranoia that resurrects the old saying — it's not paranoia if it's true. The Farm by Tom Rob Smith is available from Amazon. The book can also be downloaded for iBooks or ordered as an audiobook. You can also search for The Farm at independent bookseller Alibis and take free shipping on select titles. "You're not going to believe what he's done now," Rita said to her mother as she frantically punched at the channel numbers on the remote. "...because what Sonny has done this time takes the cake." Mattie Gifford dropped down on the sofa and clasped her throat. Sonny, her son, had been the cause of a great deal of throat-clasping over the years. And now, at 66 years of age, Mattie would have to wonder if she could stand the shock of it. Sonny was on television and for all the wrong reasons. Her boy, the only person in the world who hadn't directly added to the mountain of regret and grief that Mattie carried around with her, had robbed a bank and taken two women hostage. The three of them, and a poodle, were now held up in a trailer that belonged to Sonny's estranged wife. The police had the trailer surrounded, waiting for a statement. Mattie, her heart fluttering, waited with them. Beaming Sonny Home is a surprisingly poignant story about relationships. Despite providing the novel its pivotal piece of tension, the bank robbery and subsequent hostage taking is only a backdrop to account for the life of Mattie. While Sonny had been in trouble before, she saw him as the only one who had managed to keep their relationship intact. The rest of them had only caused her heartache. Her mother had committed suicide. Her husband slept with her best friend. Her three daughters are selfish busybodies who spend most of their time judging each other, arguing, and throwing jealous barbs at the one brother their mother liked best. The three of them had plenty of fuel to add to the fire this time. Sonny had claimed to have seen John Lennon's face in an apparition and believed that robbing the bank and taking hostages would be the best way to reconcile with his wife and get his life back on track. The mere thought of it made his sisters cackle in horrific delight as they munched pub pizzas, gulped diet soda, and chain smoked cigarettes. Mattie can't help but to wonder what she had done in her life to find herself here. And mostly, that is what Beaming Sonny Home is really about. While she never set out to choose this life, a series of events shaped her relationships, with her daughters taking more after their father than her. In its totality, the quick and witty read digs deep into a small town life with limited possibilities and an infinite supply of challenges that range from ubiquitous gossip to evaporating employment. Originally published in 1996, a reissue reviews one of the best sardonic character studies contributed to literary fiction by Cathie Pelletier. Mattie is unforgettable for her blind love for an underachieving son who has been in and out of trouble with the law for the better part of 36 years. With equal parts humor and vulnerability, Pelletier brings to life a woman who still managing to hold out hope despite feeling like she has completely failed at life. A few more graphs about Cathie Pelletier. 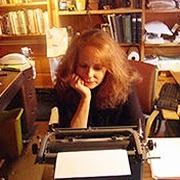 Author Cathie Pelletier has written twelve novels, ten of which are under her own name, beginning with The Funeral Makers, published by MacMillan in 1986. She also wrote two books under the pseudonym K.C. McKinnon. Both of those novels, Dancing at the Harvest Moon and Candles on Bay Street, were made into television movies. Pelletier's career unexpectedly began as a student who showed exceptional aptitude and was advanced two grades. At sixteen, she was accepted to attend the University of Maine at Fort Kent. At seventeen, she was expelled for breaking curfew and pulling the fire alarm. Following her expulsion, she hitchhiked across the United States before returning to school to become a songwriter. While several of her songs have been recorded, Pelletier eventually found fiction as a creative outlet. Beaming Sonny Home By Cathie Pelletier Hits 8.4 On The Liquid Hip Richter Scale. 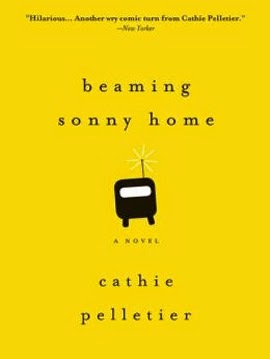 While readers seem to both love and loathe this particular novel penned by Pelletier, Beaming Sonny Home survives the test of time. In more ways than one, it may have been written ahead of its time as today's audiences are even more likely to relate to a story of someone who measures their life by living vicariously through the people around her. Beaming Sonny Home: A Novel by Cathie Pelletier is available on Amazon. 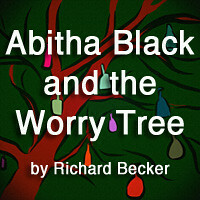 The novel is also available for iBooks or as an audiobook on iTunes. Narrated by Erin Moon, Mattie comes across as a younger, more vibrant version of herself. Check Barnes & Nobles for other Cathie Pelletier titles.